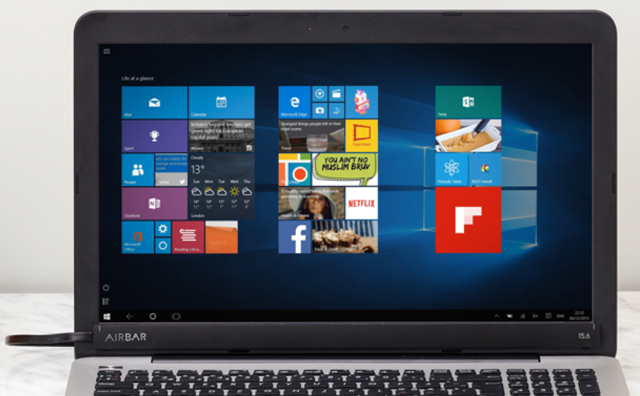 Sweden-based Neonode recently unveiled AirBar, a $49 laptop accessory that attaches its magnetic sensor bar to a Chromebook or Windows laptop PC and connects via an available USB port. It then beams a light over the display to create a sort of touchscreen. AirBar’s use of light rather than a traditional, physical touchscreen allows users to interact with their displays in a variety of new ways, such as while wearing gloves or using small objects like a stylus or even chopsticks. Neonode is expected to debut its new accessory at CES in Las Vegas this week. “Once it’s hooked up — Neonode says it’s plug and play, with no extra drivers necessary — the device casts a beam of light across your screen, and you can poke, pinch, zoom, swipe and scroll around with your hand the way you would on a touchscreen PC,” notes PCWorld. AirBar is initially limited to 15.6-inch screens and only features limited functionality for OS X.